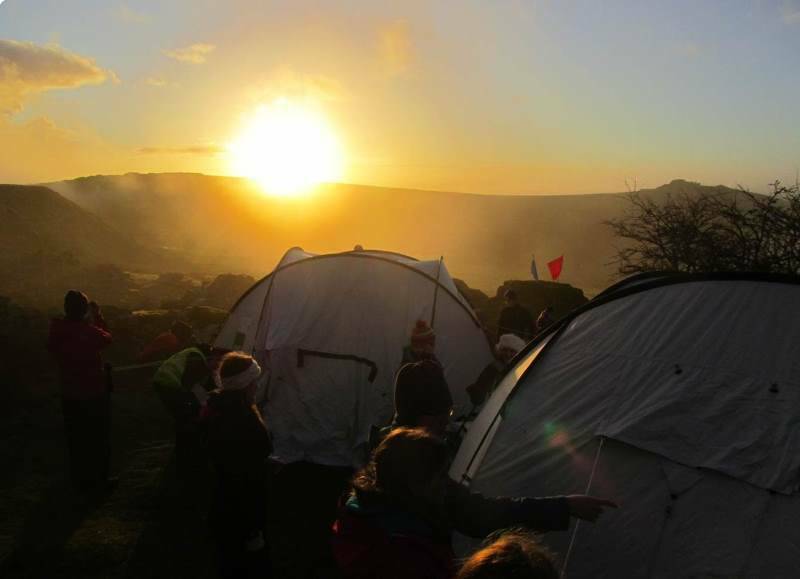 RYLA and Breakthrough, two Rotary projects with the potential to change the lives of four young people from Sherborne or the surrounding villages. This week we had one of the two official Rotary meetings which we have each month. This was our CDB meeting (Council / Dinner / Business). There are 8 of us on our club council and this month we were planning our Youth activity for the coming Rotary year. Rotary runs some fantastic youth projects and our club is involved in several of them. In particular this year we plan to fund two youngsters on RYLA (Rotary Youth Leadership Awards) and two on Breakthrough, a project which uses personal development and positive experiences to help secondary school students in danger of permanent exclusion to stay in education, overcome barriers to learning created by negative attitudes, and to reach their potential. These courses are proven to provide life changing experiences, and we always hope that afterwards these youngsters will visit our club and tell us all about it. This week I was reminded of one of our Rotarians who is no longer with us. Michael Peart was a very good friend to me when I joined Rotary, we both joined in 2006/7 and back then I was the only female member of our club. How things have changed! Micheal became President in 2009 and it was a great loss to the club, and to Sherborne, when he sadly died in 2015. 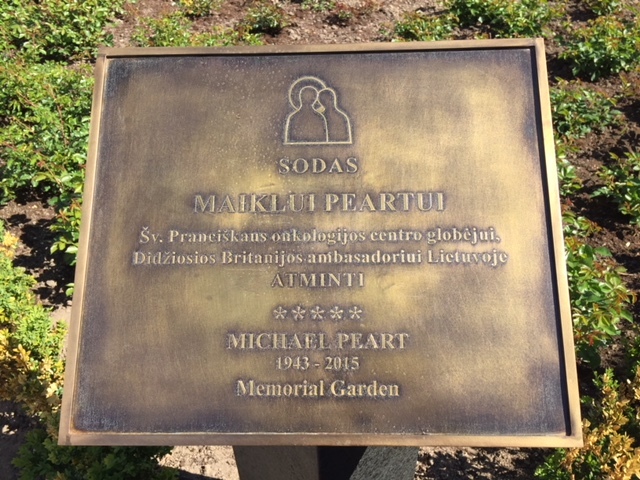 Our club helped to raise funds to create a Memorial Garden in the central courtyard of the St Francis oncology Centre to commemorate the life and work of Michael Peart in Lithuania. “The proceedings started with some typical British songs being played followed by the Beatles All you need is love. Aldona, 2nd on the left read Michael’s CV in Lithuanian, followed by Brother Benediktas reading, again in Lithuanian, the letter which Michael has written whilst in the hospice, followed by a short, probably incoherent speech by me as I was finding the occasion very emotional. . The plaque was then unveiled by Brother Benediktas and myself. Brother ‘Asti’ then gave a short prayer followed by a blessing of the garden. Amongst those attending was the Mayor of Klaipeda and David Holliday, Michael’s DA and Vygaudas Usackas who we had known during our time in Lithuania, later became Lithuania’s Ambassador to the UK and is a Trustee of the Centre who were all also invited to say a few words by Brother Benediktas. Previous Entry Week 3 – It’s all about the Show!